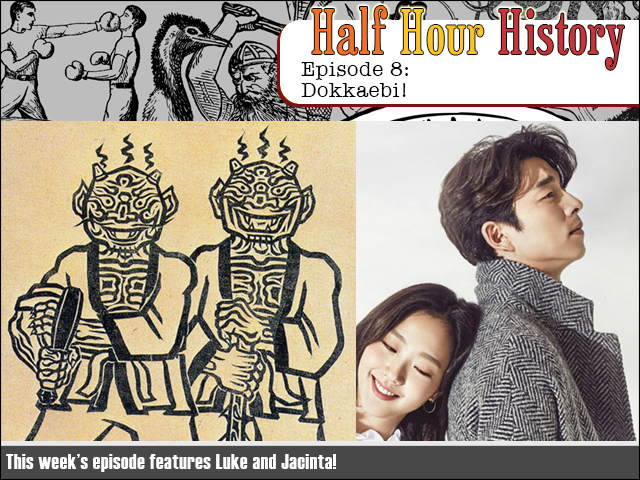 Fruitless Pursuits: Half Hour History Episode 8: Dokkaebi! This week we learn all about the Korean goblin spirit thing the Dokkaebi and where it comes from, what it does, and how it relates to a crazy story about dongers that caps off the podcast. We're nothing if not reliable. Stop your yearning and start your learning!